OUR BRICK AND MORTAR SHOP ON COLLIERGATE HAS CLOSED! We will be looking for a new space but please follow our social media to see where we are in terms of pop up shops, fairs, car boots and of course you can still shop right here online.. The museum and Kickstarter supporters are still a priority, we will meet all incentives as soon as we are able. After over a decade of selling our unusual curated finds and scientific preparations in our own shops, gallery and museum spaces as well as through several online and local markets in the United States, we opened our current eclectic curiosity shop in York City Centre. We closed the city centre shop and museum in October of 2018 and will be online and at various venues until a new location can be arranged. 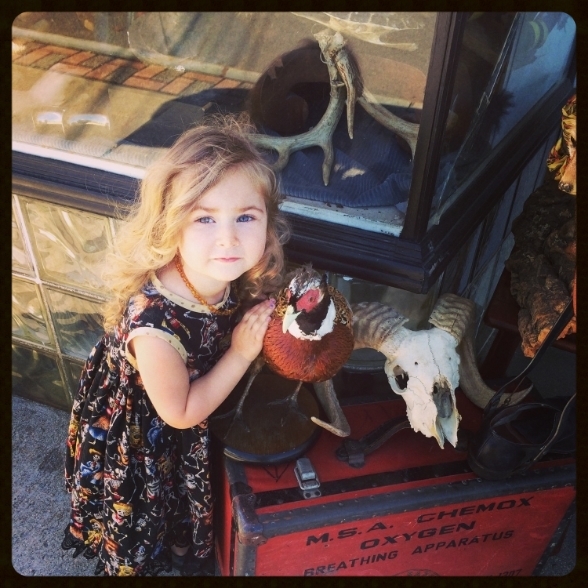 We pride ourselves on our oddities, unusual antiques, vintage treasures, in house created skulls, taxidermy and biological specimens and giving our shoppers a museum like experience. We specialise in diaphonisation, customised skull and skeleton mounts and personalised processing and preparations. Everything in our store is carefully curated and brought to our customers with a passion for the stories behind the objects. We host classes and lectures and related events and rent out our skills, inventory and our space. We are your One Stop Weird Shop. An old fashioned curiosity shop, with an eye towards sharing antique and modern fascinations with the greater community in every way possible, like a Victorian cabinet of curiosities. I just found this gorgeous necklace while packing final bits of the shop. This is made from a piece of irreparably damaged antique human skull, from a former medical skeleton. I am able to post today if anyone would like it. Deeply discounted price of £45 posted in the UK, £50 worldwide. A variety of lovely items we are arranging for a prop hire. Love to play with the museum pieces! Mine is “all dead things belong underground” what’s yours? Well here we are at the end of another chapter and can't begin to express our gratitude for every last one of you. Thanks for all the support and custom over the last 3 years. We will miss you Colliergate. *LAST TWO DAYS* Most things on sale, shop counter for sale as well as one display cabinet. Loads of insects , not on the website yet, what are you interested in? We will sell via FB and IG using PayPal at lower prices than will be listed at on the website. And here we go again! Come see us at the Weatherby Car Boot! Well that was a wash :) try again next week! Lovely old books! 4 different Rudyard Kipling books with pre WW2 swastikas on spine and cover, one copy of Paradise Lost. Each Book is £15 plus postage. Swipe to see the extra photos.